A Swap execution facilities (SEFs) are electronic execution systems providing swap dealers anonymous execution capabilities. The trouble with SEF’s are their varied services, their connectivity and the current reliance upon on the buyer to setup Straight-Through Processing. 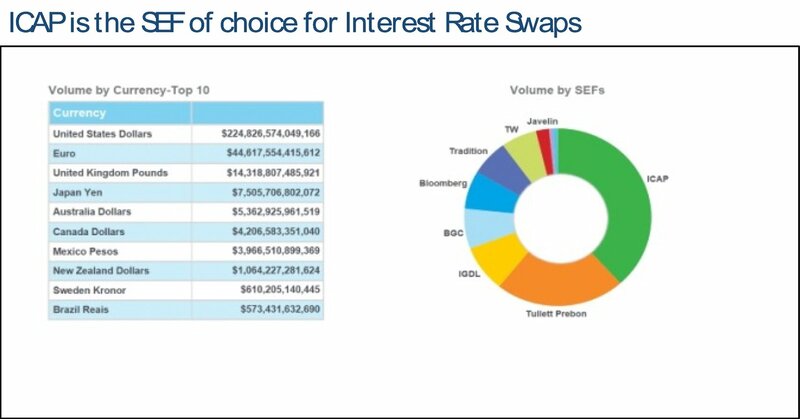 From early days some Swap Execution Facilities are beginning to win a high percentage of executing Interest Rate Swaps, Credit Default Swaps & Currencies. With 18 approved SEF’s registered, it’s taken little time for the winner’s to become apparent. Provide connectivity to internal systems at executing firms so an executed transaction seamlessly connects with the internal systems of the executing firms. 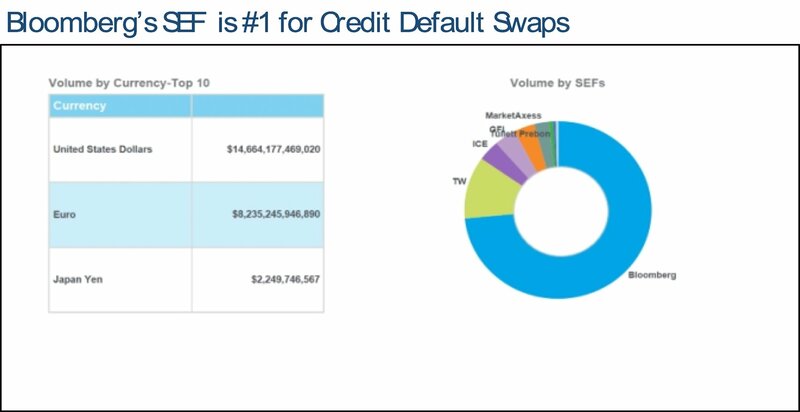 The second “appreciable advantage” would be for an SEF to have Market Makers contributing swap prices. With registration, the SEFs will be required to demonstrate continued compliance with all applicable provisions of the Commodity Exchange Act and CFTC regulations, including Part 37, and any future regulations, amendments, guidance, and interpretations issued by the CFTC. CFTC staff is continuing with registration reviews for the remaining five SEFs that currently are temporarily registered. Pending their reviews, those facilities continue to operate under temporary registration status. 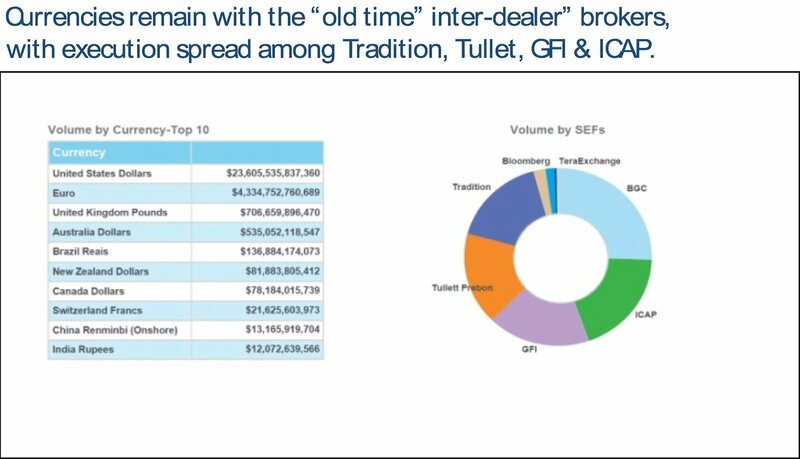 Clear Markets North America, Inc.
sOne of the problems with having many SEF’s is different firms will make different choices leaving the market fragmented. ICAP is the clear choice for execution of Interest Rate Swaps while Bloomberg is the execution system of choice for Credit Default Swaps. Currency remains fairly well spread around the globe among various execution systems. To see if one particular counterparty held a large amount of the outstanding swaps, or if one maturity held most of the market risk, we could do so by drilling down with the FIA reports. The credit department analyzes the transaction and assigned an add-on, called the CVA or Credit Valuation Adjustment. It represents the funds the bank must add to the rate it receives (subtract from the rate it will pay) to cover the counterparty credit risk. CVA Desks are a post Dodd Frank part of the process to centralize the amount of money a bank makes from a certain client or vice versa. Client required to return the email signifying they agree with the economic terms of the transaction. The transaction is then coded at the DESK LEVEL matching system. This will ensure the trader and salesperson agree on the terms of the transaction. Once the trader approves the transaction has been submitted properly, it moves to the middle office for processing. If contract is under ISDA Master Agreement, Give-up Agreement, etc. These documents will be sent to the counterparty for signing and returned. Good practice includes converting all completely signed transaction into a pdf file. This way, all documents are in one location. Of course, there’s a copy sent to our disaster recovery site as well. Email transaction require the same process as phone post-trade. Both counterparties sign and file the final documentation. Regardless of how a swap in executed, all economic information (not details relevant only to the counterparties) are submitted to the central repository. All trades reported to a central repository are a big part of fulfilling the goals of Dodd-Frank. Knowing the volume of contracts traded can provide clues, but only by knowing the open contract (open interest in futures terms) can regulators monitor the systemic risk. Transparency of market risk allows market participants and regulators to monitor and manage those risks. There is no doubt that central clearing will allow institutions to show the market the risk that have today as well as systemic which may exist across the markets. Swap Execution Facilities Go Live!